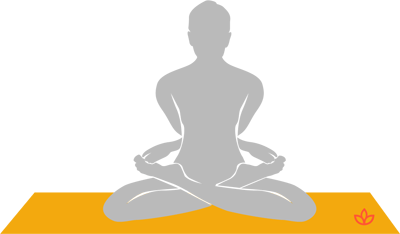 Definition - What does Baddha Padmasana mean? Baddha padmasana is a challenging and advanced variation of padmasana (lotus pose) that opens the heart, increases vitality and energy, and offers a number of other benefits to the body and mind. The name is derived from the Sanskrit, bandha, meaning “binding” or “bound"; padma, meaning “lotus”; and asana, meaning “pose." Baddha padmasana binds the body into a symbol of infinity. In Kundalini yoga, this asana helps awaken kundalini energy, destroy karmic obstacles, and clear the pathways for energy to flow. It is a powerful, restorative posture that can help the practitioner rest in a state of stillness and awakened consciousness (samadhi). Practicing baddha padmasana clears the chakras and rebalances the body. Its heart-opening stance energizes the anahata (heart) chakra, and the pose stimulates the nerve center associated with the manipura (solar plexus) chakra. This stimulation draws energy into the body, and can help the practitioner eliminate negative behaviors and unwanted habits. One way to increase the pranic benefits of bandha padmasana is to draw the lower abdomen back and up as this posture is held, visualizing energy flowing up to the brain to be stored. “Om” or “Rama” can also be chanted mentally during this practice.